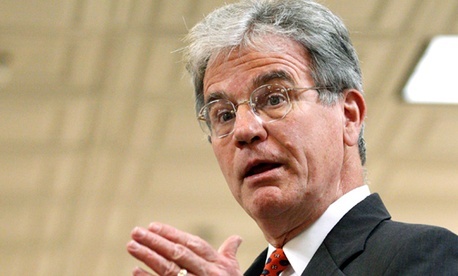 Perennial anti-waste campaigner Sen. Tom Coburn, R-Okla., on Friday accused the Obama administration of pretending “it can’t find savings” while employing scare tactics such as threatening furloughs during the sequestration debate. In a Wall Street Journal op-ed, Coburn offered examples of waste in three agencies and suggested budget cuts that would involve changes in national policy. The National Institutes of Health, he continued, could prevent 62 furloughs by “shifting money to working families from quail research—and thousands of other frivolous expenditures.” He was referring to a $181,000 study funded in 2010 looking at the reproductive habits of Japanese quail. Coburn has blasted that study numerous times.